What is more alarming than the repeated tremors that have rocked Maharashtra’s Palghar district is the discrepancy between the accounts of officials at various levels and other stakeholders. The Dahanu and Talasari talukas have undergone over a 1,000 “earthquakes” since November 2018, data from National Centre for Seismology (NCS) shows. Palghar provides the ‘only available gap’ in this Western Ghats region, underscored by the fact that it is used by most trains from western India towards Mumbai. The tremors underline the weakness in this gap, environment expert V Subramanian said. The former professor at Jawaharlal Nehru University, however, also clubbed the tremors with the “new normal” change in climatic conditions across the world, citing extreme weather events in Delhi, Assam and Kerala. In fact, there is hardly any scientific explanation yet of the Palghar tremors from government sources. The lack of information is fuelling fear. “It will take time to gather new data and changing ground evidence before it can be examined and any deduction can be made,” Subramanian said. A string of reasons may be at play, including aggressive agriculture removing the protective layer of the soil faster than it can replenish itself. “Like mountain ranges overground, which keep shifting, there are underground mountains 500 kilometres and more below the surface,” said Subramanian, who has taught geochemistry and climate change among other subjects. Movements in such ranges affect Earth. The tremors in Palghar, registered as ‘swarms’, have raised fears of earthquakes among locals. “Abhi toh aadat si ho gai hai (Now we have got used to it),” says Ramesh Surti, a waiter at a hotel near Amboli village. He claimed that there are three-four “earthquakes” every day accompanied with loud, clanging sound. “such natural calamity can’t be controlled but we have provided training, relief and rehabilitation, emergency services and held disaster management camps in affected villages,” a government official, who did not wish to be named, said. Most officials in the zone take a similar stance. Villagers, however, quashed such claims of awareness drives, monetary compensations and rehabilitation measures like quake-resistant tents. Nothing has reached them, many of them told DTE. “Sab bakwaas hai (It’s all a lie),” Sheelu Patel of Amboli said about financial or material assistance by the district administration. “Only one family from our village was given a tent. How is that sufficient for 100 families?” she asked. 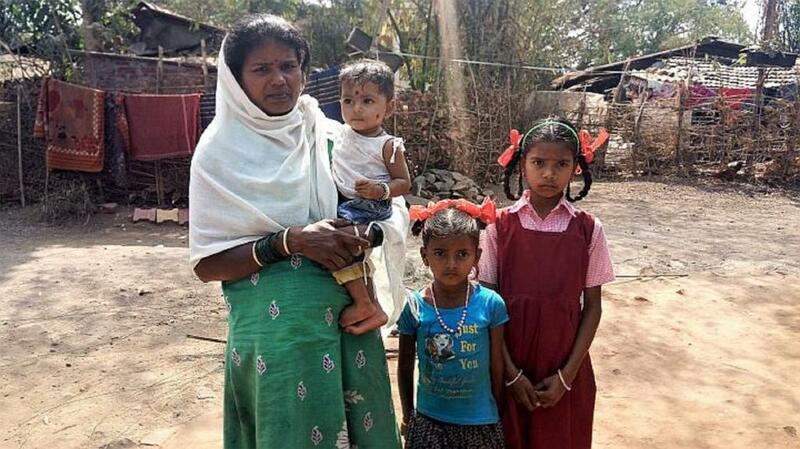 On November 11, 2018, when the first quake was registered, 60-odd villagers of Amboli shelled out Rs 20 per head — adult or child — to take a truck out of the quake-hit zone to the safety of the distant Mahalaxmi ground where the villagers slept through the night. The knee-jerk reactions to the tremors repeated over the next few days till they ran out of financial resources. “We decided to stay back in open spaces near our village. It gets very costly for each family of five to spend nearly Rs 100 or more every night to travel to Mahalaxmi grounds to sleep,” Sheelu said. Her daughters refuse to spend the nights in their huts and instead sleep in the open on a make-shift bed of thatched grass, shivering in the cold. The district administration claimed more than 1,200 tents were distributed in Dahanu and over 200 tents in Talasari. Though, not more than five tents were provided to any single pada, comprising nearly 100 families. Efforts to find anyone who admitted to have received compensation did not succeed. Several villagers have bought tents on their own. The first tremor was felt by villagers on the morning of Ganesh Chaturthi, September 13, 2018, followed by a second distinct one on November 7, 2018 — the first day of Diwali. However, official records show that a quake measuring 3.2 on the Richter scale, having a depth of 10 kilometre, occurred around 6.25 pm on November 11, 2018, at Palghar. Further, tremors on December 25, 2018, led to cracks on the walls of houses. Followed by a modest-intensity earthquake measuring 3.2 on the Richters scale on January 1, 2019, that hit Jawhar Tehsil in Palghar district around 2.21 am. Throughout February 2019, tremors have been occurring with alacrity every day across Palghar as the district’s villagers fear an unthinkable escalation. 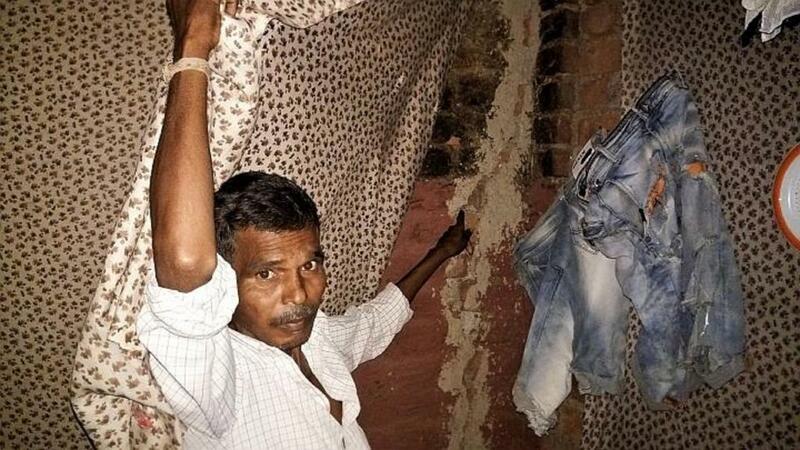 It is the epicentre — Dhundalwadi village in Palghar district — along with Haladpada, Dapchari, Amboli, Bahare and Wankas villages that bears the worst brunt of the tremor swarm. An earthquake swarm is a phenomenon wherein repeat earthquakes of low magnitude, varying from 2.5 to 3.9 on the Richter scale, occur frequently.